Nine years after an earthquake killed 309 people in L’Aquila and left the town center in ruins, destruction and building is something he and the Catholics of the area know well. The closed, partially collapsed cathedral is in the center of the city, which, despite nine years of work on various buildings, is still largely uninhabited. The earthquake, remembering the victims and rebuilding the city are never far from the minds of the cardinal-designate and his people. In fact, his installation as the archbishop of L’Aquila in July 2013 took place at the end of a pilgrimage, which he began at the former site of a residence for university students. He knelt in prayer before the ruins where eight young adults died when the building collapsed. He moved on to the ruins of the cathedral and of another small church before celebrating Mass in the Basilica of Santa Maria. Living in and around a city that is a building site is a challenge, but Cardinal-designate Petrocchi used his 2016 Christmas homily to remind residents of the importance of dedicating a bit of time each day to prayer and to one’s family. And while many people still set aside 30 minutes a day to watch the evening news, the cardinal-designate said he worried that most people don’t dedicate that much time to listening to members of their family. He suggested sitting down at least once a week for a “family news” review, a sharing session done without distraction from the television, tablet, computer or telephone. His initiatives culminated with the celebration of the diocesan synod in 2011-2012. 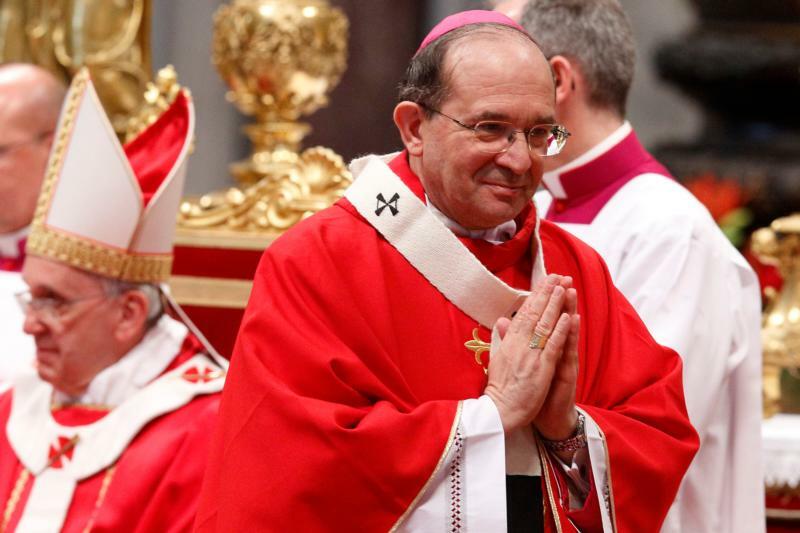 The new cardinal was born in Ascoli Piceno Aug. 19, 1948. He entered the Ascoli Piceno seminary at the age of 17 and completed his high school studies there. The local bishop then sent him to the Rome’s major seminary, and he earned his degrees in philosophy and theology from the Pontifical Lateran University. He earned a further degree in philosophy from the State University of Macerata and in psychology from the State University of Rome. Ordained a priest for the Diocese of Ascoli Piceno in 1973, he served as assistant pastor of a parish and worked in the diocesan youth ministry office for several years. From 1975 to 1985, he was director of the diocesan vocations center and, simultaneously, pastor of a parish. He also taught at the diocese’s theological school for laity, worked in its family counseling service, was involved in the Focolare Movement and taught religion, philosophy and psychology in state-run high schools. From 1991 to 1998, he was editor of the diocesan news bulletin. St. John Paul II named him bishop of Latina-Terracina-Sezze-Priverno in 1998.